Every time I would meet a client or ask for a raise or negotiated my salary (when I worked in a full-time position) – it was a struggle. You see, I was asking for what I thought was an honest number. 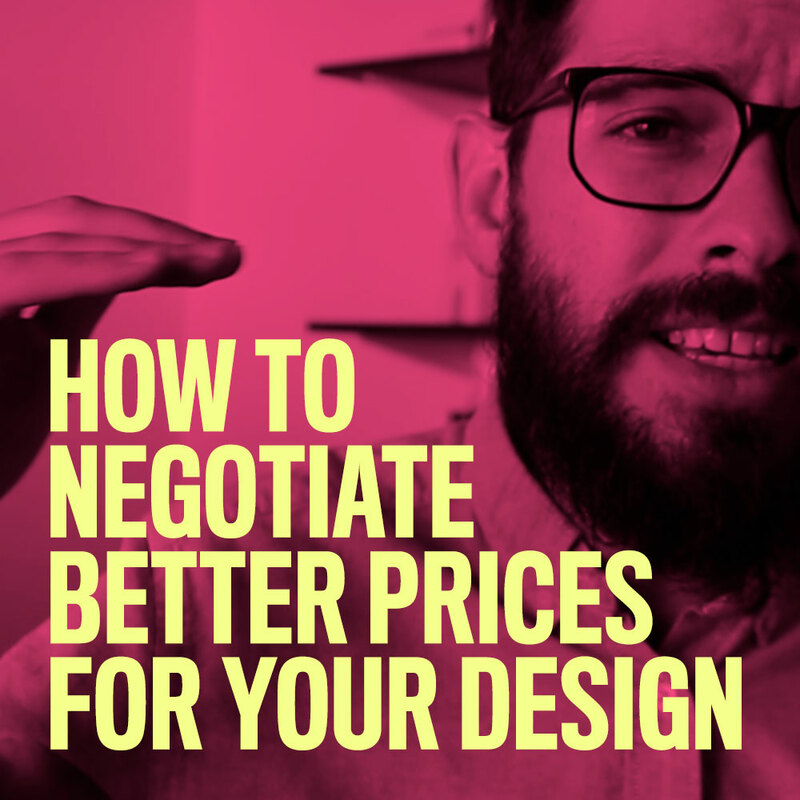 My new video will show you what I learned about how to negotiate better prices. If you want to learn to negotiate like a boss, and how to charge like the boss’s boss – I got something for you. Our Pricing Class is on sale until January 3rd for $197. Good stuff is on the way. YOU’RE AT A CROSSROAD. NOW WHAT? SELF-DRIVING CARS ARE THE BEST! AND THE WORST! WHO HAS THE UPPER HAND IN YOUR CAREER? Creatives Need Hobbies. Here’s Why. Who’s afraid of cheap logos? Can designers steal the best pricing techniques from restaurants? How can designers beat low-price competitors? Bilingual Freelance? Watch Your Language! You should be napping – Yeah! How To Get Your Focus Back. Your Time Too. We made this, so it's copyrighted to us, duh.